As a young man, West showed precocious artistic talent and was sent to Philadelphia in 1756 to study painting. At 20 years of age he was a successful portraitist in New York City and in 1760, through the assistance of friends, he sailed for Italy, where Neoclassicism was rapidly gaining ground. 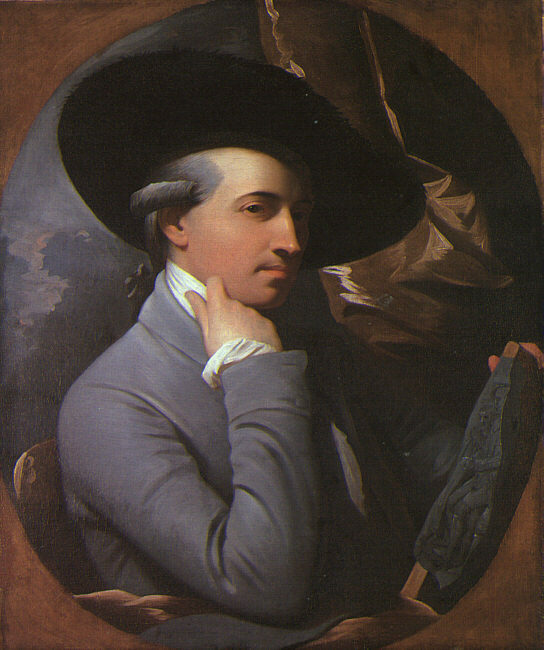 West visited most of the leading art cities of Italy and in 1763 went to London, where he set up as a portrait painter. His subsequent patronage by George III and the assurance of financial support from the crown absolved him of the necessity to continue to earn a living through portraiture. 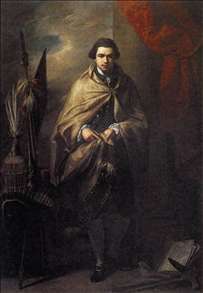 In London he soon became intimate with Sir Joshua Reynolds and gained widespread popularity. 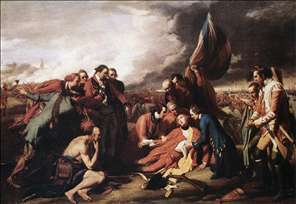 The Death of General Wolfe (c. 1771; several versions exist), one of his best-known and - at the time - most controversial works, made a noteworthy concession to realism in its use of modern dress rather than antique drapery to depict a contemporary historical event within a classical composition. 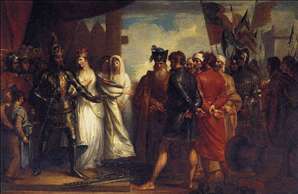 It was considered by many academicians to be an affront to the art of history painting, but ultimately it was a popular success and won Reynolds approval. Though loyal to America, West retained the king s friendship and patronage until 1801. 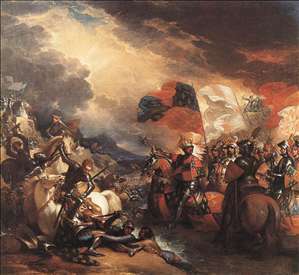 In 1802 he visited Paris and exhibited his final sketch for Death on the Pale Horse (c. 1802; several versions exist), which anticipated developments in French Romantic painting. He never returned to the United States, but through such pupils as Washington Allston, Gilbert Stuart, Charles Willson Peale, and John Singleton Copley, he exerted considerable influence on the development of art in that country during the first decades of the 19th century. 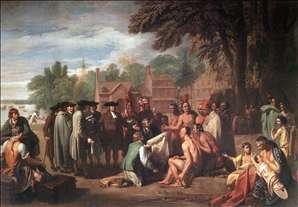 See more details about "Joseph Banks"
See more details about "The Burghers of Calais"
See more details about "Edward III Crossing the Somme"
See more details about "The Treaty of Penn with the Indians." 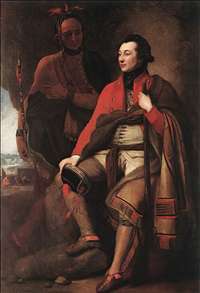 See more details about "Portrait of Colonel Guy Johnson"
See more details about "The Death of General Wolfe"